What are the most effective display and bulletin boards for learning environments? As teaching methods and learning environments develop and evolve, classroom bulletin boards remain one of the most useful — and budget-friendly — schoolroom fixtures. 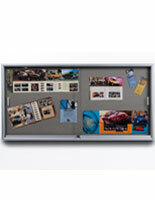 Available in a variety of styles to match their many uses, freestanding and wall mounted display boards for schools are equally necessary for preschools, K12 environments, postgraduate lecture halls and corporate learning centers. 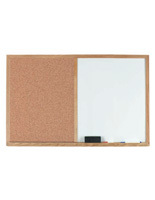 The simplicity of write-on and tack boards is their greatest strength, allowing a single style to function as a playroom drawing accessory, a message board for dorm residents or a commercial project collaboration board. 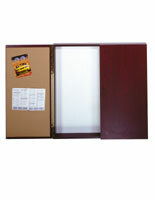 Corkboards2go.com's huge selection of economical classroom bulletin boards allows educators, administrators and facilities staff to find school furniture accessories that fit their needs as well as the needs of their students. 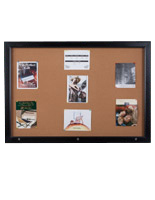 Classroom bulletin boards appropriate for any age group, teacher easels on wheels or with folding designs are some of the most popular schoolroom fixtures available. 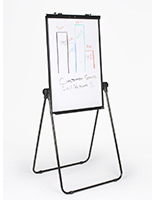 Dry-erase surfaces offer dust-free, easy to clean write-on boards that provide high visibility for class notes, project diagrams, or drawings. 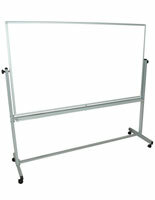 Adjustable-height childrens' white board easels can be raised or lowered as needed to accommodate different age groups. Wall mounted displays for schools go far beyond the traditional simple brown cork bulletin board for notices and postings. Our combination displays offer various combinations of tack boards, write-on surfaces and frames for pre-printed graphics. 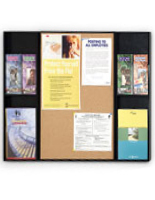 Sizes range from classroom-sized wall-mount panels for notes or assignment postings to massive combo boards more than 6' wide that are ideal for installation in shared spaces such as libraries, hallways or common areas. 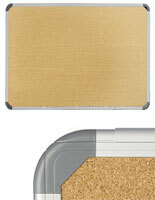 Traditional corkboards feature surfaces made from actual, natural cork material. Lightweight and long-lasting, the light brown surface is a familiar sight in class rooms, hallways, breakrooms and shared spaces across the world. 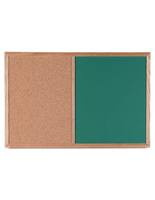 In addition to this classic style accessory, Corkboards2go.com offers eco-friendly recycled bulletin board surfaces made using repurposed rubber that offers the added benefits of being washable and stain resistant, as well as being available in a variety of colors. 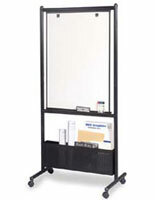 Unlike free-access classroom chalk or tackboards, display fixtures in public areas frequently need to be tamper-proof. 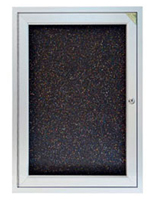 Our selection of "deluxe" bulletin and write-on boards include weather-resistant models suitable for either indoor or outdoor use, locking enclosures with shatter-resistant tempered glass access doors, and extra-large tackboards with elegant fabric displays and wood finish frames that can be coordinated to match almost any environment. Modern educational environments are in many ways the perfect melding of tradtion with innovation. Perhaps no one item demonstrates this better than the humble cork or bulletin board. 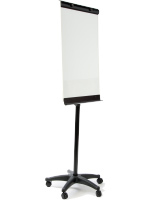 Ranging in usage from a surface for tacking up displays to a reusable high visibility sketchpad, this type of fixture is found throughout educational facilities. Available in a myriad of styles, shapes and configurations, the pushpin bulletin board and erasable chalkboard have been staples on classroom walls since classrooms started having walls. Uses, and materials, have progressed and changed with the times, ensuring that these write-on school room accessories remain indispensable educational tools at all levels from preschool through continuing education environments. 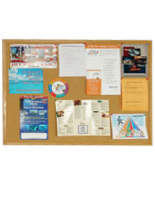 Bulletin boards, sometimes called tackboards or pushpin displays, serve as library, hallway, common area and classroom accessories in learning centers that range from private preschools to corporate learning libraries. 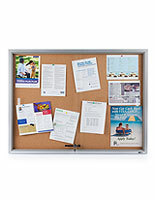 Who benefits from using free-standing or wall mounted write-on and cork bulletin boards? Long before iPads and Android tablets, the only interactive touch technology in classrooms was the bulletin or chalk board at the head of the class. 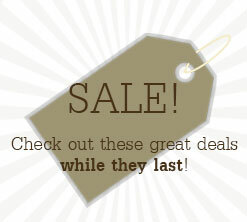 Corkboards2go.com's selection of modern write on and pushpin education furniture is designed to complement modern web-based technologies while retaining all the benefits of classic hands-on learning. 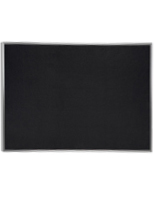 These economical white, black, chalk and cork boards are an ideal way to create versatile, high visiblity displays that inform, entertain, advertise and, most importantly, educate any audience.